"My wife and I bought our 1st house with Stephanie this past year and we couldn't be happier with her services. We were very picky shoppers and Stephanie was patient with us and kept us informed with new homes on the market and what to expect as 1st time buyers. Upon moving into the new house in mid Dec the seller left us with a little bit of a mess, personal belongings left, and a mountain of trash left at the curb. We called Steph and she was on it quick, the seller was back to take the remainder of their belongings and trash and left us with the house we'd been dreaming of. Stephanie was always professional, polite, helpful, very informative, and all around a pleasure to be with. Highly recommend Stephanie for your next home purchase!" "We listed our house with Stephanie after interviewing 3 others and we made the right decision. We have sold homes before so thought we were prepared for the process once again. We encountered some difficult people and unfair processes in the months of our listing and Stephanie was professional and undeterred in her representation of our interest. We would recommend her to anyone buying or selling their home." "Stephanie helped us find the home of our dreams. She sold our house in 2 days, and we closed on the new house right on time. Zero issues, zero hassles. Outstanding service! Thank you Stephanie!" "Stephanie has been fantastic to work with. She was with us every step of the way, and gave invaluable insight on the market where we were looking to purchase. Stephanie was always just a phone call away to answer any questions or help us through concerns or potential problems. She always has a positive outlook and very fun to work with. I would highly recommend Stephanie for any type of real estate purchase, whether it be a first time homebuyer or a growing family looking for more space." 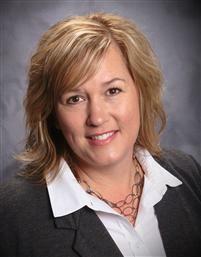 "Stephanie did an exceptional job selling a property in Montrose, MI for me! She was very professional, and communicated well throughout the transaction to ensure the deal got done. I would definitely recommend Stephanie's services!" "Stephanie has helped me buy and sell around 40 different properties. She has been very helpful, and was always willing to show me any house I asked. She was very professional in all negotiations and definitely looked out for me first. I would highly recommend using Stephanie if you are looking to buy or sell a property."